For many, the word holiday conjures images of family and friends gathered around festive tables. But for Holiday House, the design showcase now in its 11th year, the term has a broader meaning. After battling breast cancer more than 21 years ago, founder Iris Danker says that she considers every day to be a holiday. 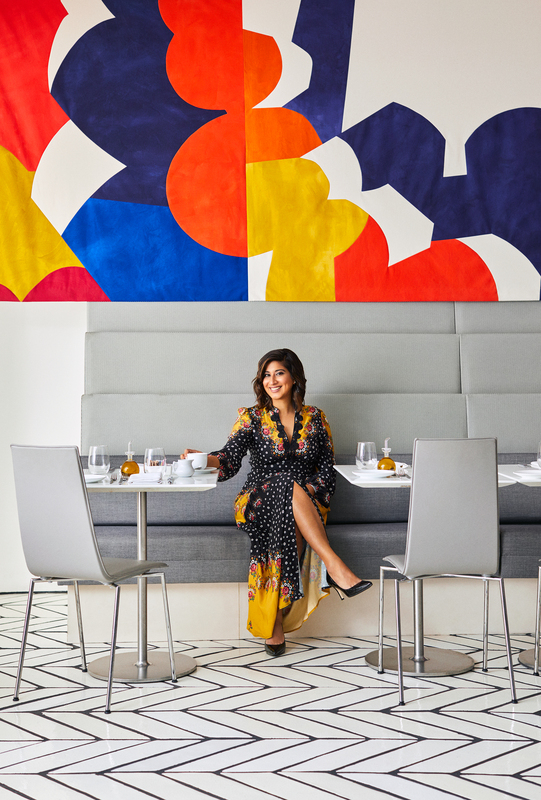 She created the annual event to celebrate her love of design while raising funds for the Breast Cancer Research Foundation (BCRF). All proceeds from ticket and gala sales go to support research for the treatment and cure of breast cancer. 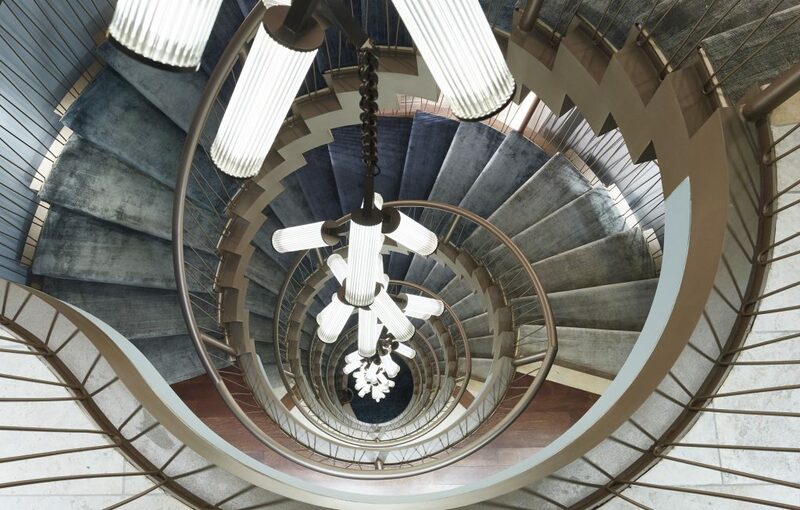 Light Fixture by Cameron Design House. Photo by JJ Jete. We love the idea of celebrating the every day, and of bringing holiday magic into every room of your home. Below, a look at some of our favorite Holiday House design moments, along with holiday decor secrets from show house designers. Perry Sayles’ elegant master sitting room (top) quickly caught our eye, and the story behind his design made it all the more memorable. 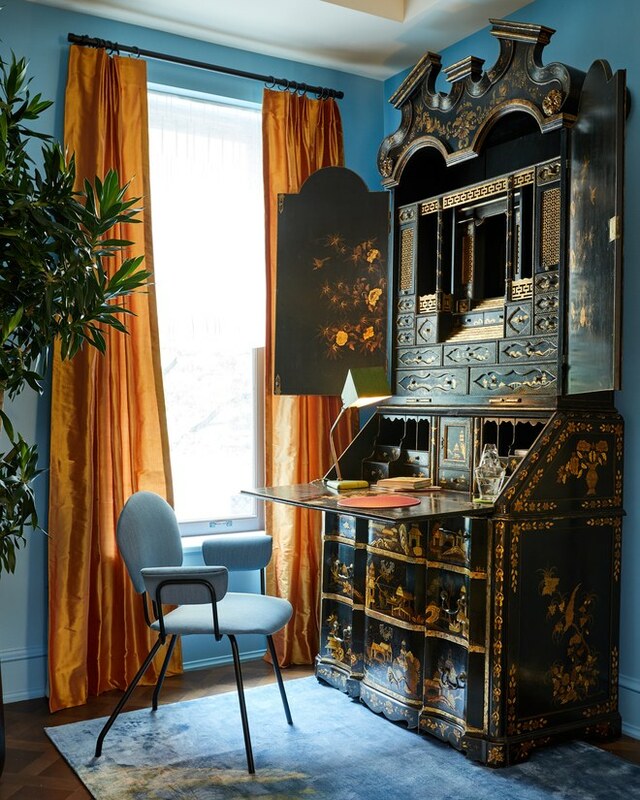 Along with the rich sense of history that comes through in the space, we love how warm and welcoming it feels—the perfect perch for writing holiday cards. Rear Terrace by Robin Kramer Garden Design. Photo by JJ Jetel. 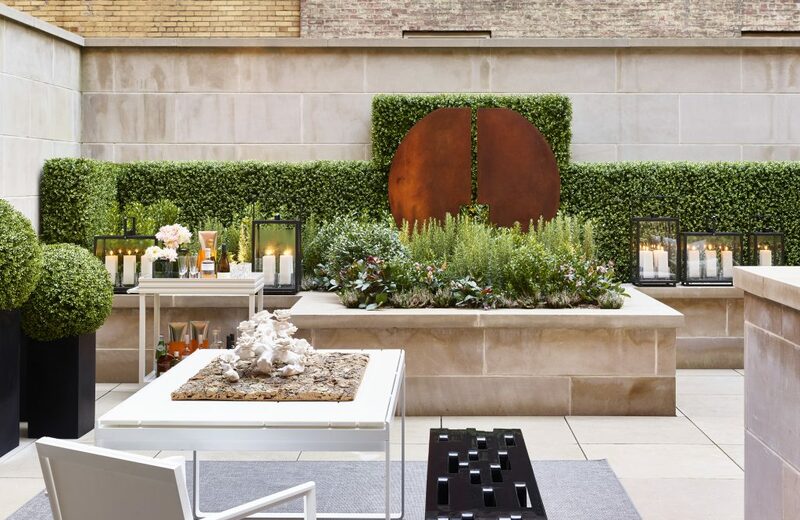 The rear terrace, designed by Robin Kramer Garden Design, is both sculptural and serene, with structured greenery, candlelight and an incredible selection of outdoor art. When it comes to holiday entertaining, Robin suggests going green. Dining Room Sitting Area by One Kings Lane Interior Design. Photo by Frank Trimble. 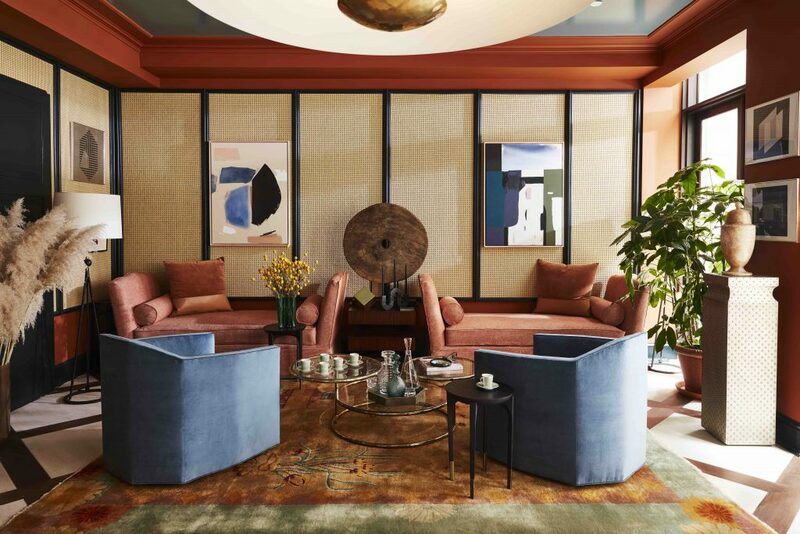 A jewel-box of a sitting area by One Kings Lane, pictured above, is filled with asian inspired pieces like a Chinese Art Deco-style rug, and a wall of Japanese-style sliding screens. An antique cart wheel anchors and grounds the room, while a table set for tea conjures an intimate, cozy gathering. 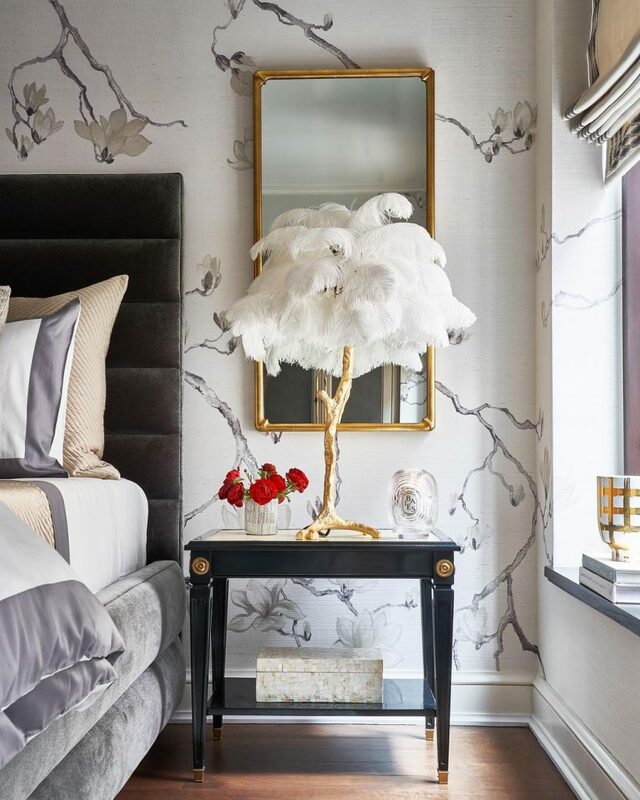 Guest Bedroom by A-List Interiors. Photo by Marco Ricca Studio. 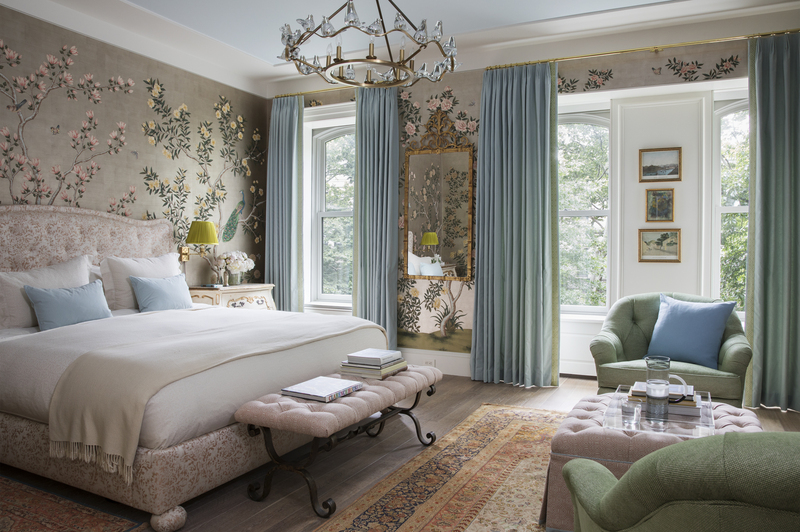 There’s nothing quite like a luxuriously appointed guest room to make visitors feel like they are truly on holiday, and the space above, by Anelle Gandelman and Ariella Duker of A-List Interiors, does not disappoint. 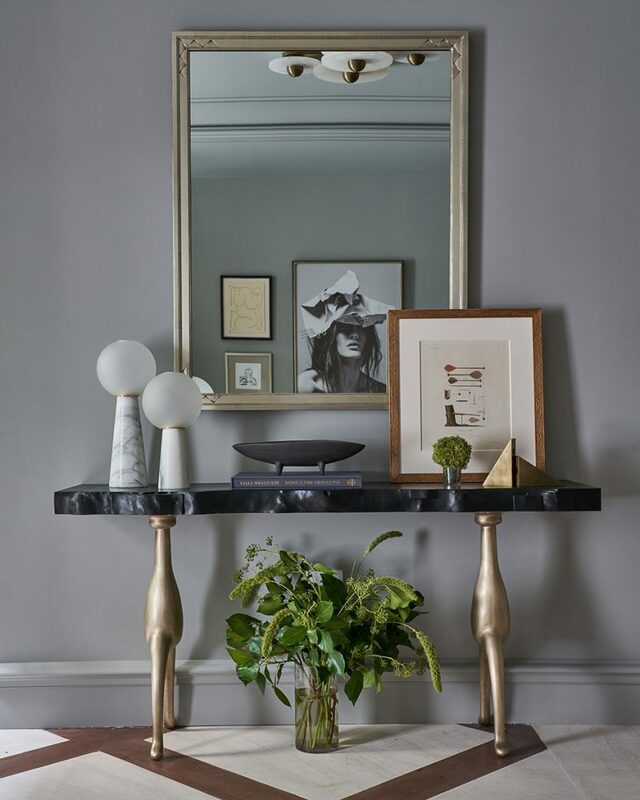 Foyer by Grisoro Designs. Photo by Marco Ricca Studio. 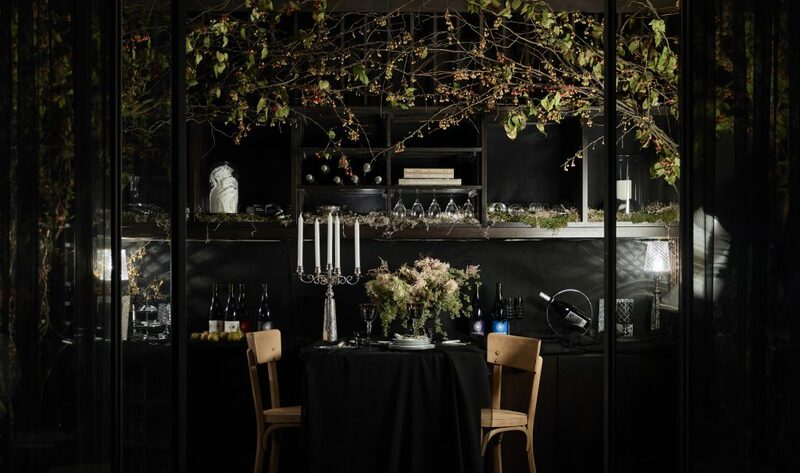 Tanya Zaben of Interior Monologue, who designed the sultry wine room above, shares her go-to for creating breathtaking centerpieces with staying power. “I love a high low mix on the table,” she continues. “This is the perfect time of year to invest in timeless pieces that you can pass down to the next generation.” A few of Tanya’s favorite options include crystal goblets or embroidered napkins monogrammed with an invented family crest/initials. “Layer that over a wood table or a simpler classic linen tablecloth and you will have the perfect table,” she says. 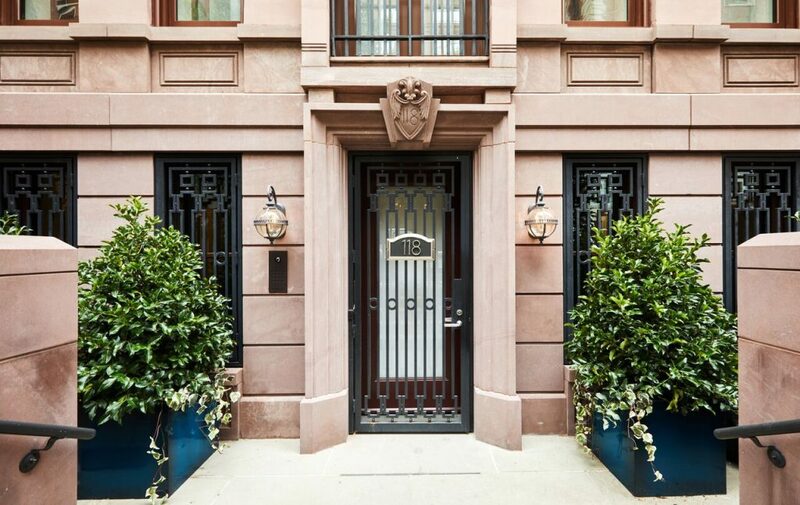 Holiday House, located at 118 East 76th Street in New York City, is open through December 2nd. Tickets are available here. 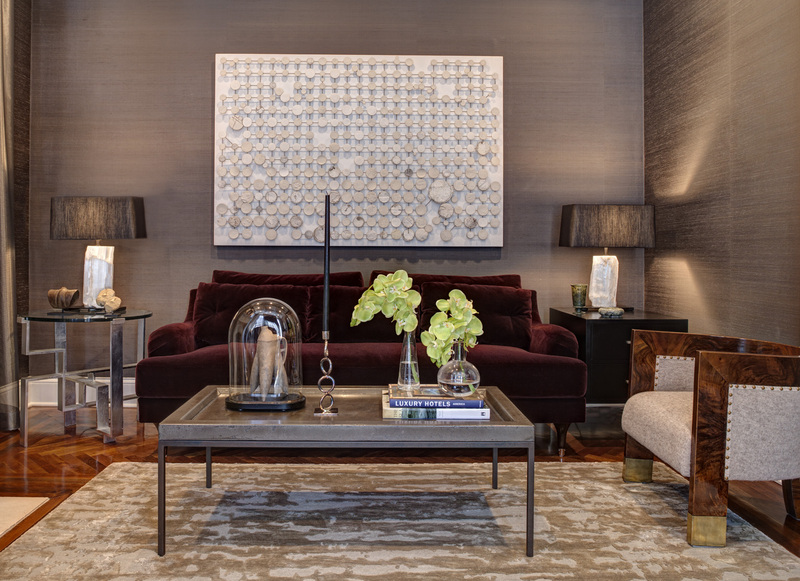 Hero image: Master Sitting Room by Perry Sayles Interior Design. Photo by Frank Trimble.